Tucson’s 309th Aerospace Maintenance and Regeneration Group, commonly referred to as AMARG, recently completed a project to withdraw 23 F/A-18C “Hornet” jet fighters from war-reserve storage and deliver them to the U.S. Marine Corps for return to flying service. The AMARG team dramatically reduced the time to deliver each aircraft, completing the project for the Marine Corps one year ahead of schedule. 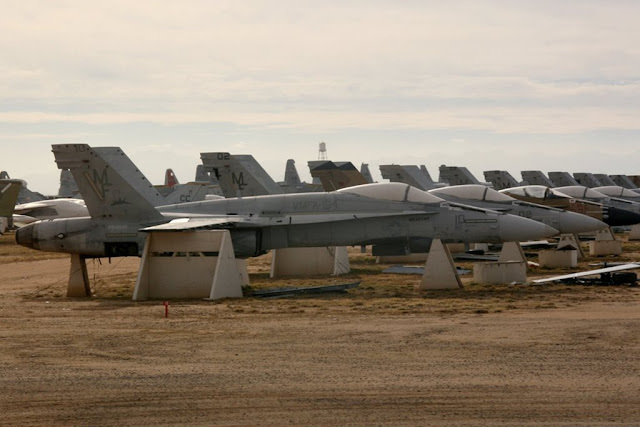 A total of 16 Hornets were shipped to the maintenance facility at Cecil Airport in Jacksonville, Fla., where Boeing, under a U.S. Marine Corps contract, is installing the F/A-18C-plus upgrade.